Three senses-shattering news items for Longbox Graveyard readers in this week’s Longbox Bulletin! 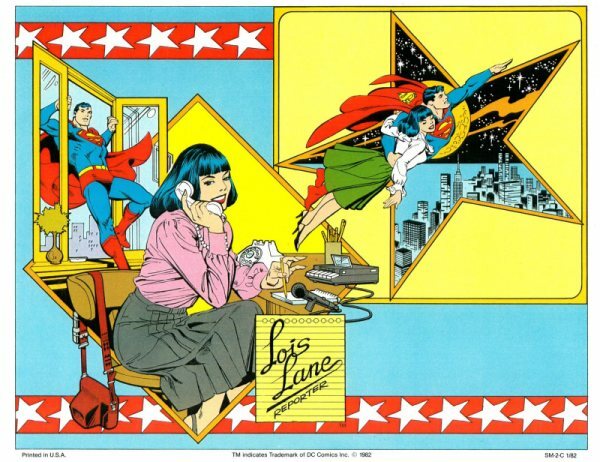 Lois Lane gets the scoop — and so do you! ITEM! Longbox Graveyard will be hosting a panel presentation at WonderCon! While normally a San Francisco show, WonderCon is taking a one-year vacation to Disneyland while Moscone Center South undergoes renovation. Since this puts the show just up the freeway from me I will be attending — better yet, I will be presenting! My panel — Triumph of the Second Screen — is scheduled for Friday, 03/16/12, 4:30p.m. – 5:30p.m., in Room 208AB. We will be looking at some of the new and original intellectual properties coming out of the iPhone space, and while the panel primarily concerns the world of Apps (in my secret identity, I am a founding partner of iPhone publisher & developer Appy Entertainment), I hope any Longbox Graveyard readers attending the show will drop by and say hello. I plan to be at the show all day Friday and likely Saturday as well so there should plenty of time for us to get acquainted. Please attend my panel! 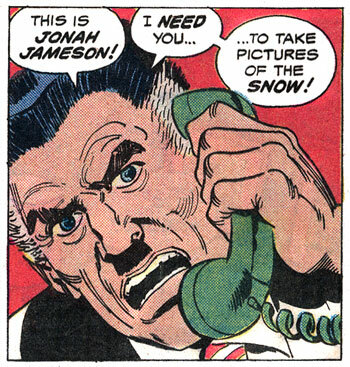 J. Jonah Jameson says get the story at Wondercon! ITEM! Even if you can’t get out to WonderCon you can still hear the Voice of the Longbox thanks to the Stash My Comics Podcast! Matt and Steve were kind enough to have me on the show so I could extoll the virtues of Silver Surfer #3! Click HERE to listen to the podcast … and leave the guys some feedback saying you’d like to hear more of my ravings in future podcasts so they will consent to have me back! And while you are over there, be sure to check out many articles and reviews at the Stash My Comics site, as well as the 100% free comics collection database service they provide! 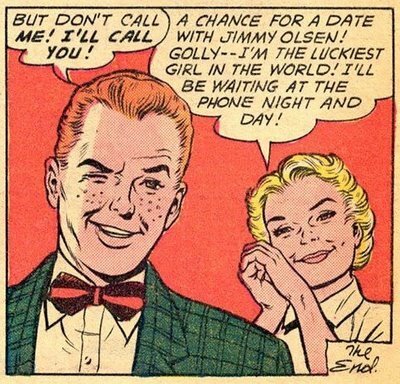 Jimmy Olsen listens to Stash My Comics — and so should you! ITEM! There’s a behind-the-scenes Longbox Graveyard interview over at Comic Book And Movie Reviews! My thanks to Jay for being a gracious host and giving yours truly the minor blogging celebrity treatment! Mouse on over to Comic Book And Movie reviews to learn the sordid secret origin of Longbox Graveyard … then stick around to enjoy the cavalcade of news, views, and reviews on the site (which posts more content in a day than I can manage in a month). 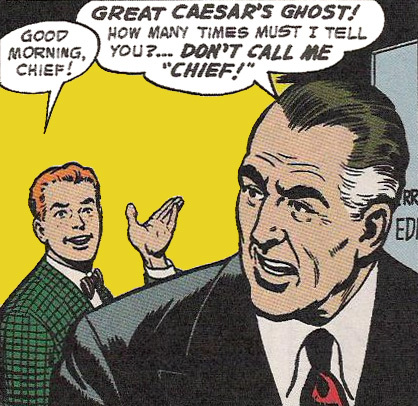 Great Caesar’s Ghost, that’s a lot of content! BONUS ITEM! And since we’re in a linking mood, let me close this Longbox Bulletin with a friendly plug for two of my favorite people. Tom Mason is an old pal and long-time comic book collaborator, who has been kind enough to post some thoughtful comments here at Longbox Graveyard (his recent comments regarding the way Malibu comics structured their creator-friendly contracts are especially worth a read). Tom is funny, insightful, and a font of funnybook knowledge, and he frequently holds court over at Comix 411 — mouse on over and check out Tom’s column. Last and NOT least, if you aren’t reading Mars Will Send No More, then you’re missing out on one of the most unique and eclectic corners of the comic book blogosphere. Whether he’s enthusing about dinosaurs, Jack Kirby, or cosmic heroes like Warlock, there’s always something interesting on the boil at Mars’ site, which features full-length comic book treasures from the Bronze Age era that I so esteem. Mars has been one of the earliest and most loyal supporters of Longbox Graveyard, and his site belongs in your reading rotation. Check him out today! Posted on February 22, 2012, in Announcements and tagged Appy Entertainment, Comic Book And Movie Reviews, Comics 411, J. Jonah Jameson, Jimmy Olsen, Lois Lane, Mars Will Send No More, podcast, Stash My Comics, Tom Mason, WonderCon. Bookmark the permalink. 8 Comments. Thank you for the Link Love, Paul. We saw some visitors from that. Hopefully we rewarded them with something fun to read, remember, or discover. Blogging rules – a random guy sent us a picture of his skull ring because he found our post about them. It warms our reptilian hearts. We found some scans of Silver Surfer 3 that may be post-worthy. We thought about putting them up and including a link to your interview. Would that be sharing the love or stealing your thunder? If you’re going to post more about it, we will defer to you. Glad I could send you some traffic, Mars, it can’t have been much but if they came to you from Longbox Graveyard then then are quality people, I assure you! Treat them well as you inculcate them into the Cult of Dinosaurs & Martians. And you need never secure my blessing to link to anything on Longbox Graveyard (though I thank you for asking). Spread that Silver Surfer gospel! I will actually we writing about Surfer #3 in an upcoming blog (revisiting the material I assembled for my podcast appearance), but post away, the more the merrier — there’s certainly a lot going on in Silver Surfer #3 (more than any single blog can cover). Please do post, I would consider it an honor to be linked! Awesome, Paul. I’ll be at the panel. That’s great, Horace! Please come up after the presentation and introduce yourself — I’d love to get to know you better, maybe we can hang out or attend another panel together.